A new HQ for Javelin Block, a design and build company, The Compound is a 15,000 sq. 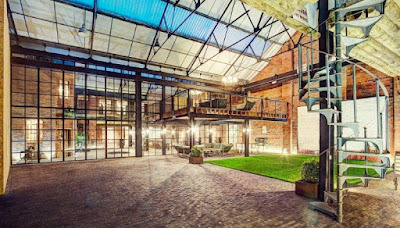 ft refurbished and re-imagined former industrial building in the Jewellery Quarter of Birmingham. Central to the success of the design are steel windows and doors forming screens spanning over 15.5m x 5.5m, manufactured, supplied and installed by Steel Window Association member, Monk Metal Windows. Javelin Block is interested in buildings ‘as found’. 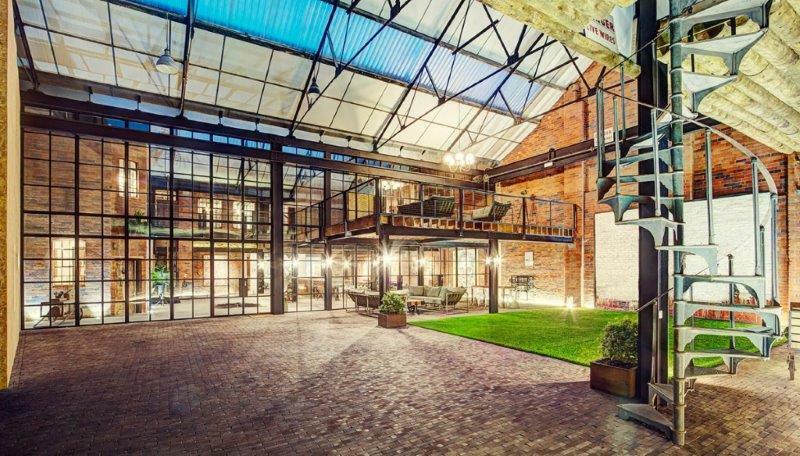 The steel frame of the former textile factory was retained while the brickwork was left exposed and the industrial fixtures and fittings were left in place. With the majority of the building an open volume, the steel screens subdivide the inside and ‘outside’ spaces while maintaining the sense of the overall space and the building’s industrial narrative. Wherever possible, Javelin Block tries to use local craftspeople. So, on behalf of the client; BPN Architects contacted the Steel Window Association for details of suppliers and, as a result, selected Monk Metal Windows for the contract. The company is located around six miles from the The Compound and helped to design the windows and then worked alongside the contractors on site. Manufactured from W20 sections, the feature screen includes five double door sets. It was glazed with high-performance 16mm krypton gas-filled units to demonstrate compliance with current Part L regulations and achieves a centre pane U-value of 1.2W/m2k. The units were hot dip galvanised and polyester powder-coated in RAL 8022 black brown. In addition, seven W40 section steel windows, each measuring over 1.2m x 1.6m, were supplied for use in various locations on the second floor of the building. These were glazed with high-performance 24mm double glazed units; comprising a multi laminate for added security. They also included a non-standard full chamfered bead to replicate old putty glazing.